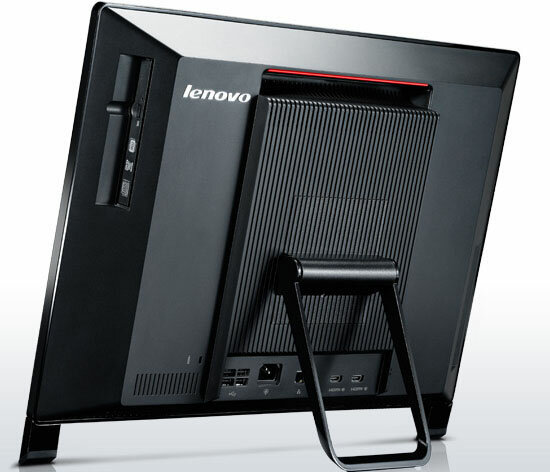 The all-new Lenovo ThinkCentre E93z takes desktop computing to a whole new level. At only 48mm thick, the ThinkCentre E93z is one of the thinnest all-in-one PCs ever built for business and is a centerpiece for any office. With its optional ThinkCentre UltraFlex Stand, the E93z can take full advantage of its optional 10-point multi-touch display by combining height, tilt, pivot, and recline adjustments to maximize ergonomic comfort and productivity for the best possible Windows 8 experience. Powered by up to a 4th Generation Intel Core i7 processor and available with a 1GB NVIDIA GeForce 720 discrete graphics engine on selected models, the ThinkCentre E93z can bring the most creative visions to life via its gorgeous 21.5 inch infinity glass Full HD display. Faster data access is provided by next generation Solid State Hybrid Drive storage and HDMI In and Out ports.The ThinkCentre E93z helps protect privacy through an innovative built-in camera switch that physically blocks the E93z’s webcam to prevent unauthorized recording.The ThinkCentre E93z will be available beginning September, starting at approximately $699.